Gobbledygeek episode 266, “Nazis and Nightcaps,” is available for listening or download right here and on iTunes here. For the penultimate installment of Hitchcock Month, Paul and AJ continue their tour of Hitch’s limited-setting films with a look at 1944’s Lifeboat, wherein a group including Tallulah Bankhead’s socialite reporter winds up sailing under Walter Slezak’s Nazi; and 1954’s Dial M for Murder, in which the dashing Ray Milland conspires to murder the unfaithful Grace Kelly. Joining them is Ensley F. Guffey, one-half of Guffey und Koontz, the writing team behind Wanna Cook? The Complete, Unofficial Companion to Breaking Bad. Ensley is also admittedly not much of a Hitchcock fan, which makes for some interesting discussion. 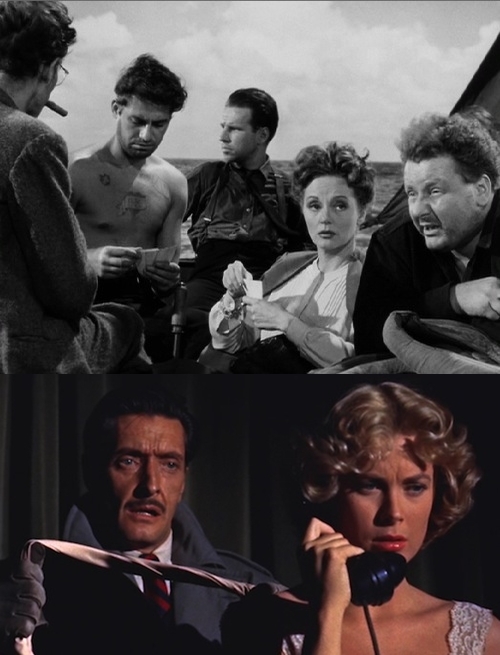 The boys debate the merit of these films, which by some accounts may be the least interesting selections so far; delve into the political climate that birthed Lifeboat; wonder what Dial M for Murder would have looked like in 3D; and take a guess at what drew Hitchcock to confined spaces. Next: Hitchcock Month closes with a leap of faith from Broken Magic author and The Deli Counter of Justice co-editor Eric Sipple, as the gang talks 1945’s Spellbound and 1958’s Vertigo. This entry was posted in Shameless Self-Promotion and tagged alfred hitchcock, anthony dawson, dial m for murder, ensley f guffey, film, gobbledygeek, grace kelly, henry hull, hitchcock month, hume cronyn, itunes, john hodiak, libsyn, lifeboat, movies, podcast, suspense, tallulah bankhead, walter slezak, world war ii, wwii. Bookmark the permalink.